Tuesday, February 10, 12:35 a.m. Following Craig Ferguson’s departure, The Late Late Showhas featured a revolving cast of guest hosts. Next week, Wayne Brady welcomes Justin Flom to the set. 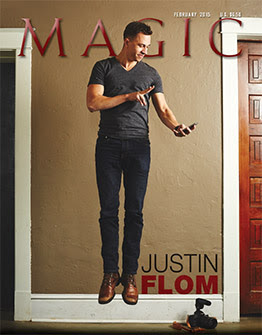 Justin will be making sugar appear inside a borrowed bill and biting off his own finger (learnPull My Finger in the February issue or on M360).